Email, SEO, PPC, and web design are all different tools that are used in ecommerce, and all provide different functions. Social media is another tool for digital marketers – but it’s a very special tool. It does what it does very well. It helps grow audiences, build brand awareness, extends reach and is a cost-effective method of conversion. What makes it special is that it helps other forms of ecommerce improve while still doing the job you’re using it for. Social media marketing can help make your email, PPC, SEO, and even website design better. Most importantly, it can grow your business. It does this in two ways. Firstly, it can enhance your existing ecommerce marketing to get more customers. Secondly, it can pick up customers that you might otherwise have lost through retargeting. Email is the backbone of ecommerce. It’s where transactions on the Internet started, and it’s still where a lot of digital communication takes place. 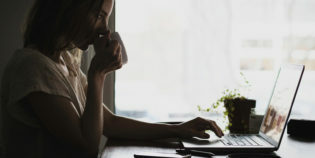 As it has been going for 30 years now, long standing companies have built up large databases of customer emails, and these can be imported into Facebook to create your audience. Using Facebook Insights and other tools, you can then find lookalike audiences who you can target with ads. These targeted audiences are much more likely to like your business, as they already share the same tastes as your returning customer base. Social media can also be used to populate your email database. If you give an exclusive special offer or give something like a free eBook if they give their email address – then you can build up your email list. Social media also works best when it’s brief and engaging. If you write a post on Facebook or Twitter, it’s generally recommended that you keep between 80 and 100 characters. That’s great practice for writing great email titles and an engaging first sentence that will show up in the inbox and entice people to open and engage with your email. Emoji are effective too! Social media is extremely useful for SEO. One of the ways that you can improve your SERPs is by creating backlinks to other sites. Every social signal – something like a tweet or a share of content you have on your social media – may contribute towards your SERPS. That means the better your social content is, and the more times it’s shared, the better your SEO ranking. Companies that have an active social media presence generally have better SERPs. If you use blogs as a way to generate backlinks, they can also be used as content in your social feed. As well as the backlinks generated through the blogs, you get the multiplying effect of social media drawing people to that content – and if it’s good enough, sharing it and generating even more of an SEO boost. You can also use different approaches on different social media platforms to promote your content from different angles. A B2B article is likely to get a lot more interest on a social media site like LinkedIn – whereas a fun blog for ‘10 unexpected benefits of [your business]’ might play better on Facebook. Remember to keep the blog tied in with your core values. Those who are practiced in SEO know the value of using keywords and being concise. Those skills are directly transferrable to social media. They are important because they give your social copy purpose and relevance, and even more so if they are to be the basis for backlink generation that will effectively increase your SERP. The point of pay per click advertising is to get your website above the top of a standard SEO list of pages. In terms of content, you have to be laser focused on getting your message out as quickly as possible. Unsurprisingly, tactics like special offers and money off that work well in PPC also work well in Facebook and other social media – but they work together too. A PPC link will drive people to the website’s landing page. On that landing page, you can also have links to your social media. If you have a strong social media following, you can also embed that social media within your website – so that people can instantly see the interaction you have with your audience and the recommendations that come from real people. It will make them more likely to trust the site and take the next step. It also means that PPC can drive people to a website, but also drive them to social media. Once social media, email, SEO and PPC has helped you get more customers or email inquiries, you can use your email list alongside social media like Facebook to find brand new audiences. You can import your email list into a custom audience. Using that you can remarket to people on that list through Facebook ads. The other benefit is that you can create lookalike audiences from that custom audience. These are people who have similar interests and demographic markers as people who have already bought from you. This means that they are much more likely to convert than people who are targeted on broad demographic lines. Usually, in a sales funnel, you expect to lose audience members at each stage. Not everyone in the total audience you approach will be attracted to your product, less will be interested, even less will make the decision to interact and fewer still will turn that decision into an action to convert. But there’s something else you can put on your landing page. A Facebook Pixel (other pixels are available). That’s a small piece of code which can track people once they’ve visited your site. If you ever wondered how Amazon targeted you with ads after you looked at a product on their site – now you know how. Attraction, Interest, Decision, Action: AIDA. We all know the funnel. Using a pixel, customers who would otherwise have been lost can be retargeted. A customer who showed interest by visiting a website has already made their way along part of the customer journey. The pixel can track this, and give them another piece of contact design to move them down the sales funnel. Retargeting is more successful at converting than regular targeting, as once someone has interacted with your company once, then they are more likely to interact with you again. Using Ad Manager, you can automate retargeting based on the interaction people have had with the website. If they haven’t clicked through, you can give them an incentive to click through. 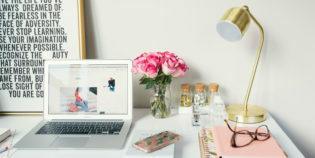 If they have been on the website, you can show them some pictures of products they might like to get them to interact further. If they have looked at a certain product and backed out – you can give them a time-sensitive special offer. The further down the funnel the people go, the more successful the conversion rate of retargeting is. The differing messages also mean the customers don’t suffer from ad fatigue. People go online to solve a problem or be entertained. The old tools of ecommerce are still effective at solving people’s problems online. If someone searches for something they need, SEO and PPC are still going to be effective at getting people’s attention. What they are not as good as are being proactive – of getting their business out there to people who might need it – not those that already do. Social media is very good at meeting people where their attention already is. On the devices where their attention already is. If the content is good, it can speak to them directly in a language they understand and appreciate. That building of trust and brand awareness is great for growing a company – and it supports the other tools of ecommerce. It builds email lists, it strengthens SEO and it makes PPC more effective. 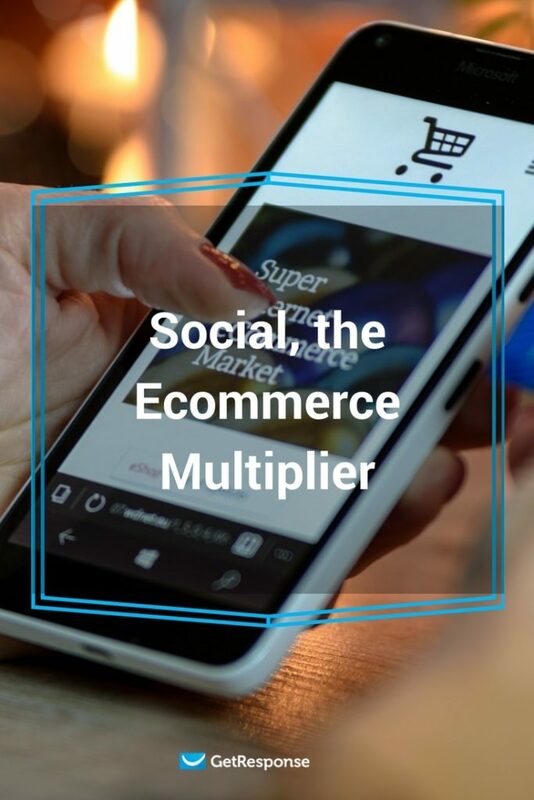 Social media isn’t a competitor for ecommerce – it’s a supercharger. By the same token, people who have excellent social media followings, but poor PPC, SEO and email strategies will not be getting the most out of their digital marketing. This engine works best when it’s firing on all cylinders. Making all these moving parts work together may seem complicated – people don’t often think of things like consistency of tone, message and design language across email, social and websites – but when these things are in place, the customers can tell. The customers respond. The customers will help you grow your business.